In the case of Adam Lanza and the Sandy Hook Elementary shooting, Call of Duty was noted as one of the primary violent video games played by the shooter. Reportedly spending "days in his basement" playing the game, the NRA and other pro-censorship lobbyists love bringing the game out as a prime example because as the world's most popular game it has the most immediate relevancy to worried parents across North America. 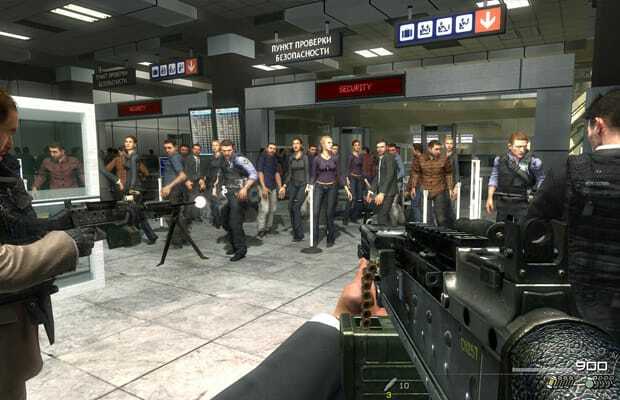 The "No Russian" level of Modern Warfare 2 in particular makes a shocking example of the sorts of violence one can find in the series.